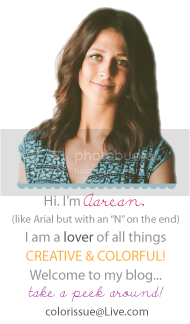 "what's a baby item Aarean can't live without" or "What are the colors of baby girls nursery?" look how cute and tiny the little poloroids are! but Laura (and the gals) THANK YOU from the bottom of my bursting heart. This is so cute! Would your friend kill me if I copied this? I love it! how did your friend get all of those cute prints??? it's the cutest thing i've ever seen! this is so cute! 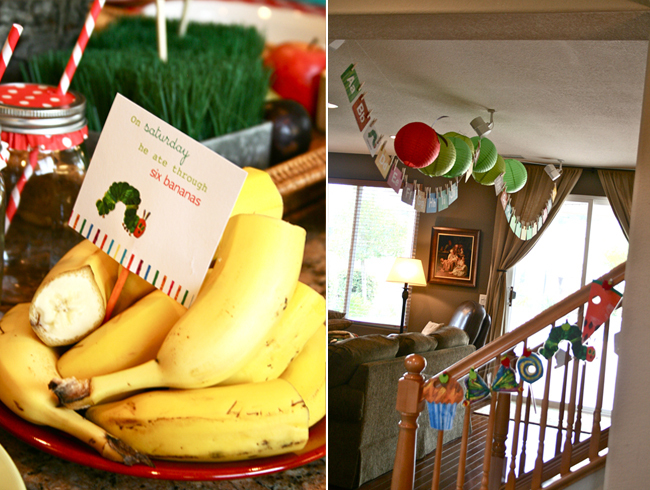 what a clever idea for a baby shower. :) I love the use of all the tree parts - I think it really adds an extra special something to the theme. way to go Laura! 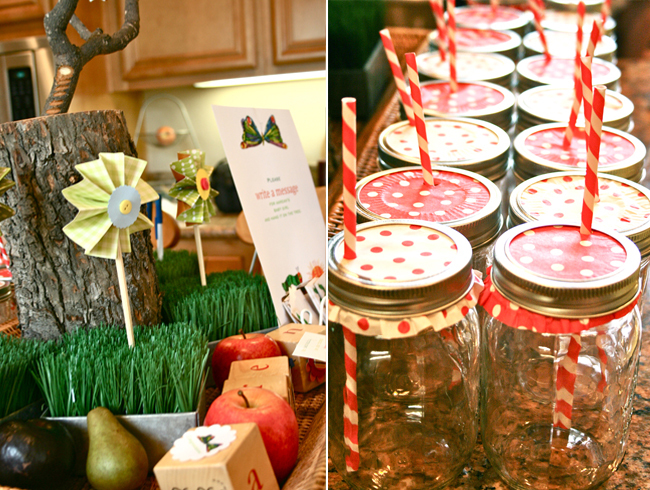 Cutest baby shower theme ever!! Totally adorable!!! Every detail is darling. Okay seriously? That is so adorable! You are soooo welcome! I was more than happy to throw a party for one of my favorite people!! Hopefully your sweet little girl will make an appearance soon! So anxious to meet her!! oh my goodness this is so well done and cute! congrats! This just made my day. I ADORED this book when I was little, and made my mom read it to me 2+ times a day. OMG - love it all! This is Pinterest worthy!! Pinning now! 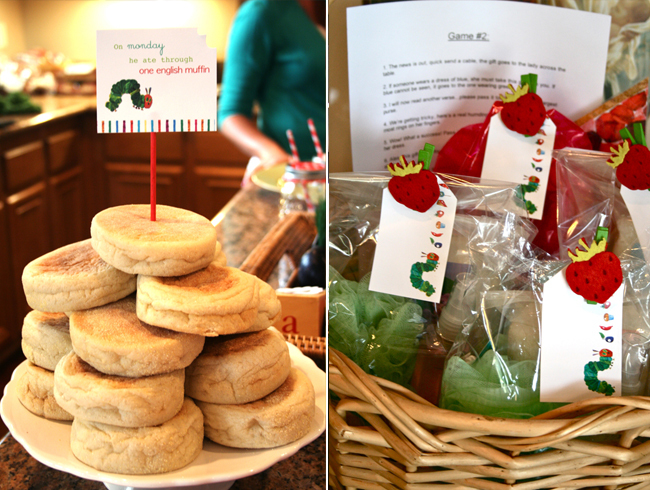 So creative:) Happy baby shower! Oh my gosh! Such a cute idea. How creative! Wow that was amazing! She did a great job. Too freaking cute!! What a talented friend! 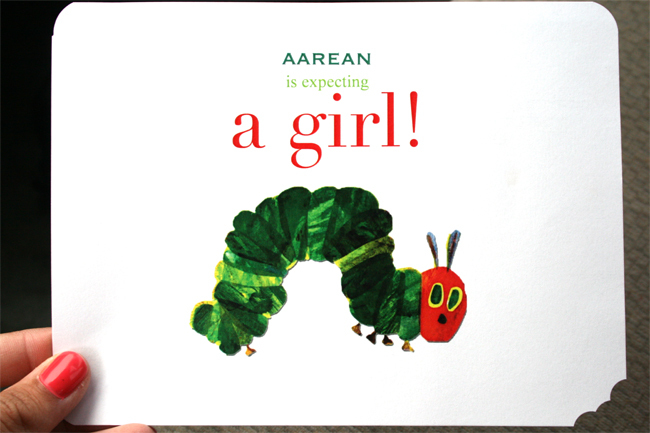 Once our addition is complete I vow to throw my next preggo friend something half as cool. And mad props to whoever was manning the camera - the photos of all the lovely details are just as sweet as the shower's theme. Really this is awesome and all the decoration was perfect.Look at those tree how incredibly they made it.Great. Thank you for sharing such an amazing baby shower, my daughter wants the same theme but I know I cannot make it half as good as yours however any suggestions would be greatly appreciated. May I ask what other foods did you serve and what games did you play? Did the prizes follow the theme? This is a baby shower for.my oldest daughter who was told at a very young age and for many years after that she could not and would not be able to get pregnant.Her sister already has 3 boys and her brother and his girlfriend already have a boy. So my daughter also is having a boy and she wants me to plan the whole party. Since my other children wanted to plan there own showers so this is a first for me. So any help or suggestions would be greatly appreciated and useful. Again let me say what a wonderful job! 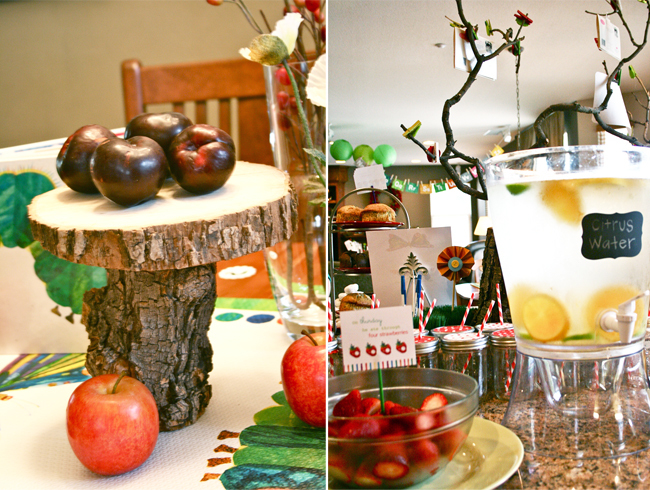 Do you have more photo's this is truly amazing baby shower as I would honestly love to see.